Excellent piece — the reader is right in the middle of this tragic event. I have distant ancestors said to be involved, but little information, can you confirm any relationships between John Reagor or Reiger and Dorde Pfau to the massacre? They are recorded as having 400 acres North Mill Creek, purchased from Robert Green. Children were captives and survived. I don’t have the confirmation information you’re looking for. As a start, I’d recommend reading ‘The Dyer Settlement’ & ‘Highland County’ books listed at the end of the Jacob Seybert story, Part II at Fort Seybert. When I was researching this, over 20 years ago, I phoned the Historical Society in Highland County, WV and talked to a historian, they may still be able to give you documentation leads. Best wishes in your search. From what I’ve deduced in my own research, your manuscript is the best description of the events of that day. Thank you for sharing! It was a pleasure to read your detailed account of the massacre and related events of the time. A number of the older accounts cast blame on Jacob for his difficult decision, but the reality is more complex, as you point out: he made the only decision he felt he could. We are distant cousins, as my Seybert/Seibert line descends through Wendel Seibert (Bell’s Wendel Seybert WSV), and of course, Johanna Seybert Lorentz/Lawrence. Someday, I hope to visit the site of the fort and the burial place of these immigrant pioneers. I am a direct descendent of Jacob and Elizabeth Seybert two of their children, George and Henry, both finally settled in what is now Highland County (as did their son, Nicholas). I can trace my ancestors back to George and Henry through both my father, Isaac Luther Beverage and my mother, Clara Hester Seybert. We still own the land where Henry Seybert settled as well as the land that William Janes and Margaret Seybert Janes lived on while in Highland County. U.S. 220 to Blue Grass. Fortunately I have many of the Seybert original papers in my possession, deed, wills, etc. Thank you for the reply. You have quite a few relatives about the country that will be happy to read your comments. As a point of interest to our readers, do you have a website containing a write up or discussion of the events at Ft. Seybert and the ongoing lives of the Seybert family survivors? Is there further information re. their sister, Margaret. Are you aware of any digital-downloadable copies of the trading post ledgers that you mentioned? Jacob’s and other family signatures on documents? In the meanwhile, congratulations to yourself and your immediate family, for maintianing and contributing the ledgers to the Library of Virginia, and for helping to keep alive the memory of our ancestors and their contribution to this country. 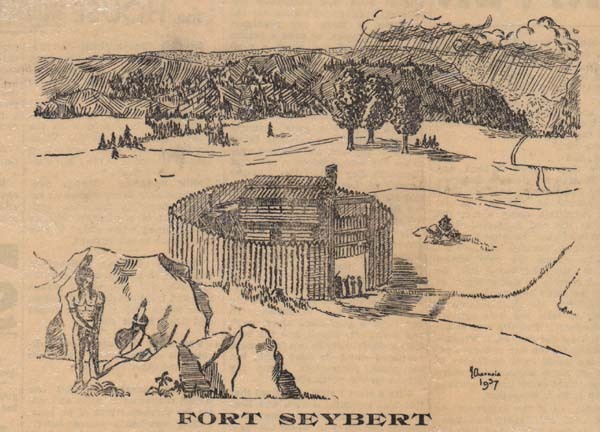 I wrote an article for the Pendelton Times a number of years ago concerning Fort Seybert. I question the information about William Janes’ parents owning land on Straight Creek in the 175os adjoining the William Janes property. As to the trading postledgers I am unaware of being able to download the trading post records of Nicholas Seybert. By the way I don’t think you will find anything indicating that Nicholas Seybert lived on Straight Creek. My mother, Clara Hester Seybert, is a descendent of Jacob Seybert via Harmon, Henry,Jacob,Henry, Jacob . My father, Isaac Luther Beverage, is a descendent of Jacob Seybert via Virginia Trimble, Elizabeth Seybert, Isaac Seybert, Jacob Seybert, Henry Seybert, Jacob Seybert. There several other ways I can trace my ancestors back to Jacob Seybert, so I have lots of Seybert blood in me. Charles, I would be curious to learn more about your questioning of William Janes’ parents owning land on Straight Creek. Are you still researching the family of the William Janes who married Margaret Seybert? This is definitely one Janes family I would like get figured out a little better. From the info you gave, I don’t see a relation. Our families sure went through a lot together in the mid 1700s though! My mother is a Seybert from the area of Hillsboro Illinois. We are related to Henry Seybert and Rachel Trail of Montgomery County Maryland. I believe that Henry must have met Rachel when Nicholas owned a store in Senca Valley Montgomery County Maryland. The Trail family owned property around Sugar Loaf in Montgomery Co. I found some remarks that Henry served with Nicholas in the military. Henry and Rachel’s youngest son George left the family around Blue Grass VA for Bond County Illinois. I’m assuming that Henry may have had a land grant that he gave his son. Do you have any details of this nature. Thank you. 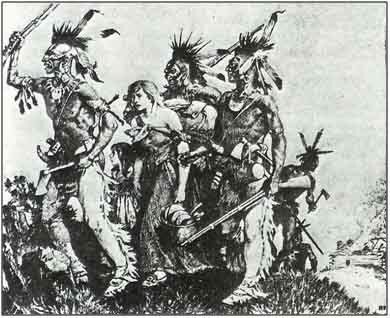 Sorry that I can’t help you with your specific request, when doing this research, I only traced my direct ancestors. You might check at the end of these articles, where I have listed my information sources (noted in the body of the text by a notation such as . These sourses do follow other family members for a generation or two, its just that I didn’t extract their continued histories while trying to reassemble the puzzles of my own direct line. There are several other of our cousins who have also written to this blog, several of their messages can be found below the articles, along with their e-mail addresses. I, too, am descended from Jacob Seybert – through Henry, George (Montgomery Co, IL), Solomon, Henry … . In September of 2008 and again in 2010 I was able to attend the re-enactment of the burning of Ft. Seybert. The land is cleaned up; and there is a stone wall around the mass grave. I would recommend that any of Jacob’s descendants attend the re-enactment at least once. I will gladly exchange data with any of my cousins. I definitely enjoyed learning about the history you’ve posted. I wonder if you would e-mail how to get in touch with Charles B.Beverage. Thanks. There is an active “Reply” button (blue colored text) beneath his comment. Click the word and an e-mail space should open. I don’t have the email address of those who comment. Good luck on your search. Thanks for acknowledging my request. I’ll try to find a way to contact Mr. Beverage,without getting you into trouble. I did reply as you suggested, but I don’t know if Mr. B. stills looks at this year old thread,or if he is even alive. I’ll do some more snooping,because this fellow probably has access to materials that will answer my question. Thank you!! The information was very informative, well written and I enjoyed reading more about the family of Jacob Seybert. Great article. Roger Dyer is my 6th Great Grandfather. Matthew Patton mentioned above married Hester Dyer and are my 5th Great Grandparents. I had not read of the indident above until now. Thank you very much. Glad it was interesting for you.